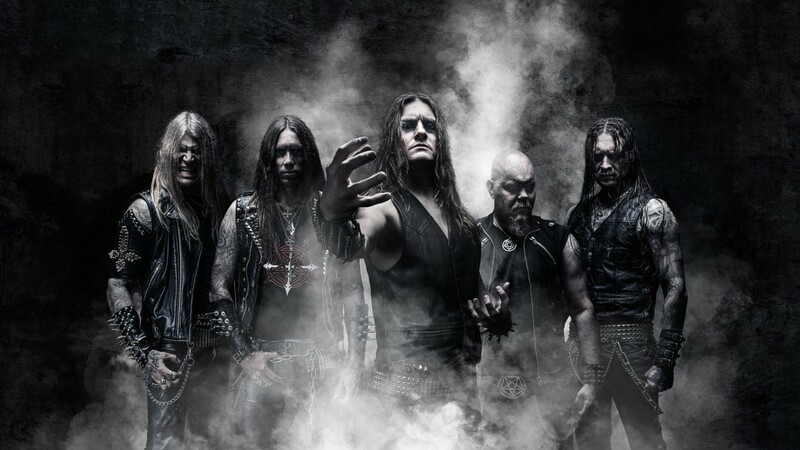 Swedish blackened death metal band NECROPHOBIC have been rejoined by guitarists Sebastian Ramstedt and Johan Bergebäck following the band’s split with their axeman of the past five years, Fredrik Folkare. Let’s start this new year with welcoming the two savages Sebastian Ramstedt and Johan Bergebäck back to the band. From today, they will handle the guitars, a part that has been single handed in the recent years. Why is this happening now? What happened to Fredrik? – Lately, I have also come to realize that me and Fredrik are too far from each other on the musical side. Our mindset and our musical roots are too different. Necrophobic is very special in that way that it has very strict, call it rules, on how music shall sound, and not to sound, so with that in mind, along with that one guitar player was ”missing” live, I slowly started to think of this solution – to let Fredrik go. It’s always hard to tell a person to go, especially since we have always got along very well on the personal basis, he’s a great guy, but I had to set the band, and what’s best for the band, in first place. There’s no hard feelings between us. At least not from my side. – Since some time back, a new born relationship started with my old friends, and former band mates, Sebastian and Johan, and that made this line-up change into reality. Sebastian was part of this band for 15 years and Johan for 10 years, so I’m really excited to have them back in the band again and I’m looking forward to what we will accomplish together, both live and on the song writing terms. So, what are your views on this and how does it feel to be back in Necrophobic? – It’s a great honour to be back! It feels like coming home. Necrophobic has, by far, been the band where I can let my creativity flow the most. Joakim’s vision and my way of writing songs has always fit together naturally. The funny thing is that me and Johan never really quit Necrophobic. After years of working closely together we, in the beginning of 2011, said that we needed a break, but it became longer than we expected. I do respect Fredrik’s work in this band. He is a fantastic guitar player and his work with Necrophobic, both as a guitar player and a producer, will not pass unnoticed. – The time for a return is now and we will unite in forces stronger than ever. Necrophobic has already started to write new music and plan to record a long awaited new album during the end of 2017. The black flame still burns!